Sports nutrition – Harmful, all the same or useful? Among the mass of people of our country, and not only ours, there are those who like to use sports nutrition in order to achieve a greater result in sports. But there are also people who use sports nutrition products to ensure that these biological supplements to the basic diet help balance the entire day complex in all the components necessary for human beings. For example, protein. This component is very important, as it forms the basis of all the muscle tissue of people. It is believed that the minimum for an adult person should be at least 1 gram of protein for women and 1.5 grams – for men, per kilogram of body weight. If this rule is not observed, the metabolic processes in the body will not be active enough. To this end, people also begin to take sports nutrition, as it helps to balance the daily diet and normalize metabolic processes. But there is a category of people who can just use sports supplements for that reason, because they like the taste of these products. At the same time, they lead the most ordinary way of life, simple and inactive, and also do not work where concentration of the brain or increased attention is required. Conversely, there is a category of people who claim that sports nutrition is very harmful to humans, since it creates a great strain on the digestive organs and the liver. We will try to understand this, is it really a harmful sports nutrition or it has more positive qualities. Who should take sports supplements? As it was said above, sports nutrition is used most by athletes to achieve great performance in sports, but it is often used by ordinary people who do not like sports life. Each of us has a different metabolism, each requires a completely different amount of daily calories consumed. But for any person it is necessary to eat in the day and proteins, and fats, and carbohydrates. If you constantly think a lot or the kind of activity is connected with the activity of the brain, then a qualitative protein is necessarily required. At the same time, those foods that are often used during the work process can not have as many useful properties as a quality protein. In addition, the presence of a sufficient amount of protein in the body helps it to create a stronger immune system. Therefore, if we are talking about sports nutrition, where a balanced complex of vitamins, proteins, fats, and carbohydrates, then eating it, the norm for calculating daily calories will be very useful for people who can not balance the correctness of their nutrition throughout the day. As for the quality of these products, in most cases, many of them contain an isolate or concentrate of lactose-free dairy products to avoid swelling, and also filled with high-quality fiber – long-decomposed carbohydrates and unsaturated fats. 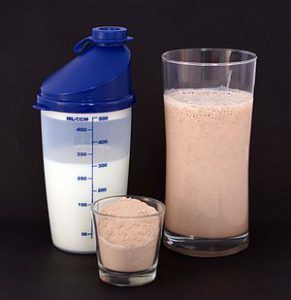 In this case, protein is not a chemical product, but it is created only from natural raw materials. Therefore, for a more correct and balanced diet, the role of sports nutrition is of great importance for each of us. And, moreover, if you are heavily loaded with physical work, if you spend the whole day in front of a computer, then a complex diet is very important. Like any product, for example, an orange, a strawberry, an apple or a banana, sports nutrition can have side effects. Naturally, in most cases, all this can occur only when a person starts to use only one sports supplements, giving up normal food. Sports nutrition does not replace natural foods, but is its complement. Also, sports nutrition is not recommended, and people who have a lot of excess weight. In this case, for them a more beneficial additive will be carnitine containing foods and vegetables with fruits. As for women, they, as well as men, need to adhere to the correct dosages, as the manufacturer indicates. Next Next post: This simple, but amazing fruit is an apple!